Is Krishna Testing Us Every Day? Prabhupāda: No, just like if you want responsible post, then there is question of test. If you want to become a vagabond, remain vagabond. Where is question of test? 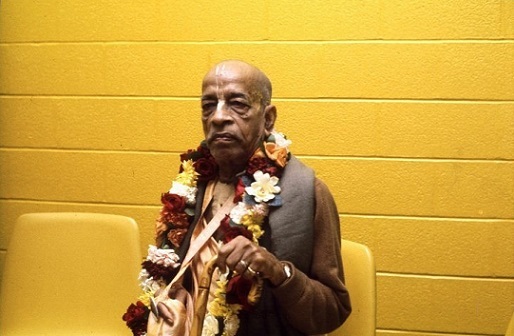 Prabhupāda: Ah, devotees there is test. For devotees there is test. We see from the devotee's life, Prahlāda Mahārāja, how much severe test he had to pass through. Bali Mahārāja, Nārada Muni. Devotee: And the most advanced the devotee is, the more severe the test is, the more chance. Prabhupāda: No, after you pass the examination, there is no more test. But before coming to the post of recognized devotee, Kṛṣṇa tests very severely. That one has to pass. Devotee (2): I read once in the Bhāgavatam in one of your purports, you said that māyā is there to test the sincerity of the candidate. Prabhupāda: Yes. We see from the life of Bali Mahārāja, how he was put into difficulty. Even his spiritual master cursed him. (break) ...put into test and still he remains in his determination, then he's passed. That is very natural. And there is a word, "acid test"? Devotee (3): ...this test depends on one's faith in Kṛṣṇa? Prabhupāda: Faith in Kṛṣṇa? What do you mean by faith? Devotee (2): If you want to pass the test, he says, does that depend on one's faith? Prabhupāda: What does that faith mean, you mean? Prabhupāda: What is that conviction? Describe it. Devotee: That Kṛṣṇa is the controller. Prabhupāda: Kṛṣṇa is controller. You may have faith or no faith, that doesn't matter. Devotee (2): If one is convinced that Kṛṣṇa will always protect him. Devotee (3): When he's convinced to abide by the instructions of Kṛṣṇa. Prabhupāda: Faith means that you are meant for giving some service to Kṛṣṇa. You should stick to that service, that path, in spite of all impediments. That is the passing of test. Generally... Just like we are meant for preaching Kṛṣṇa consciousness. So there may be severe test, but still we shall remain determined. That is wanted. There may be so many impediments, punishment; still you should do that. That is wanted. That is test. Not that as soon as there is some difficulty I give it up. There may be severe test, but still we shall not give it up. We must go on. That is determination. Devotee (3): Passing the test means executing the order of the spiritual master. Prabhupāda: Yes, that is spiritual life. One has to take order from the spiritual master and execute it, despite all impediments. That is determination.